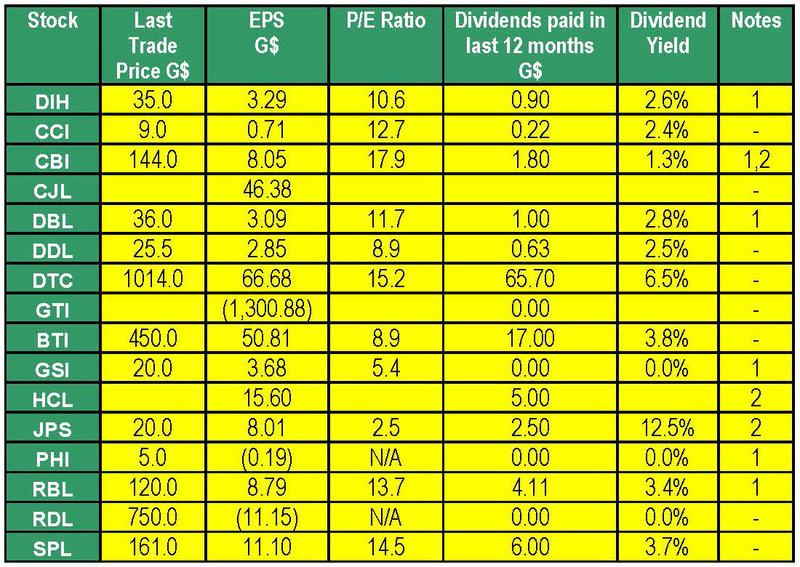 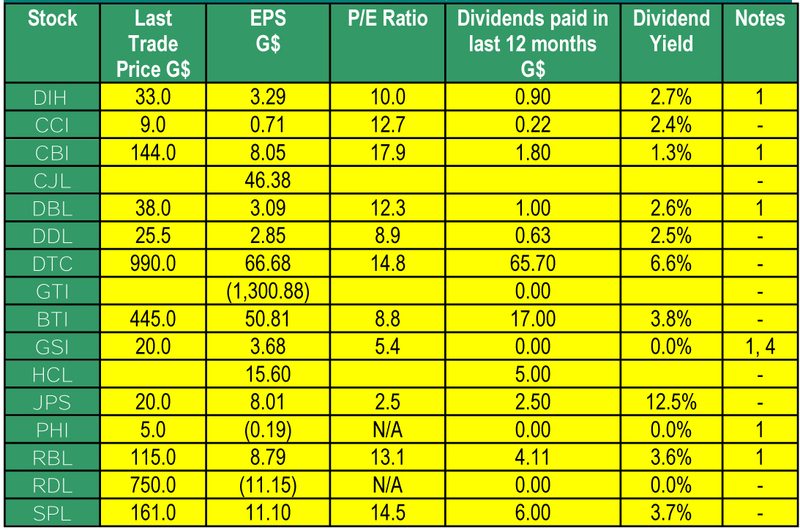 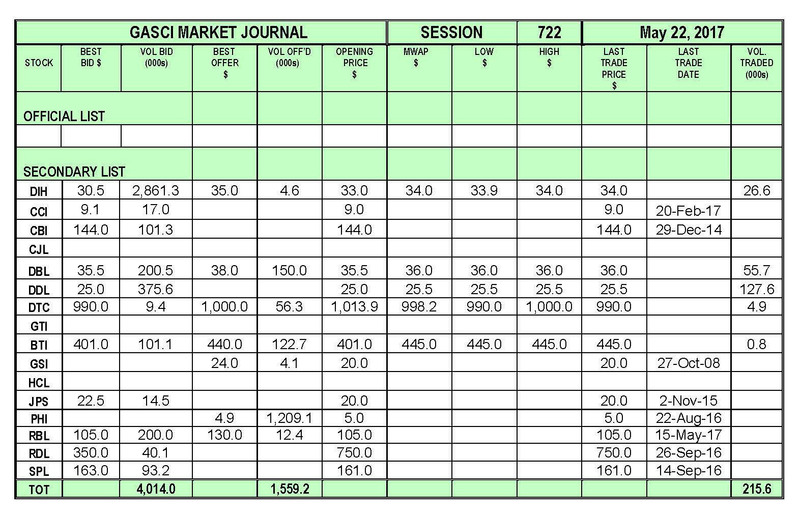 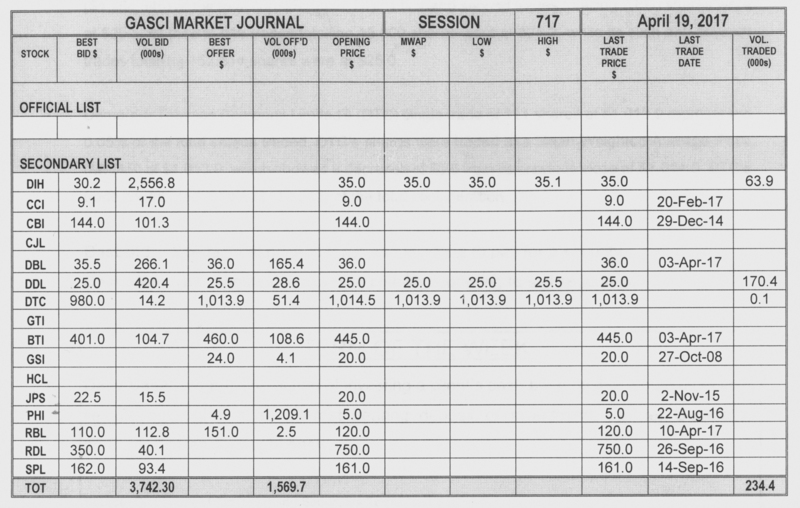 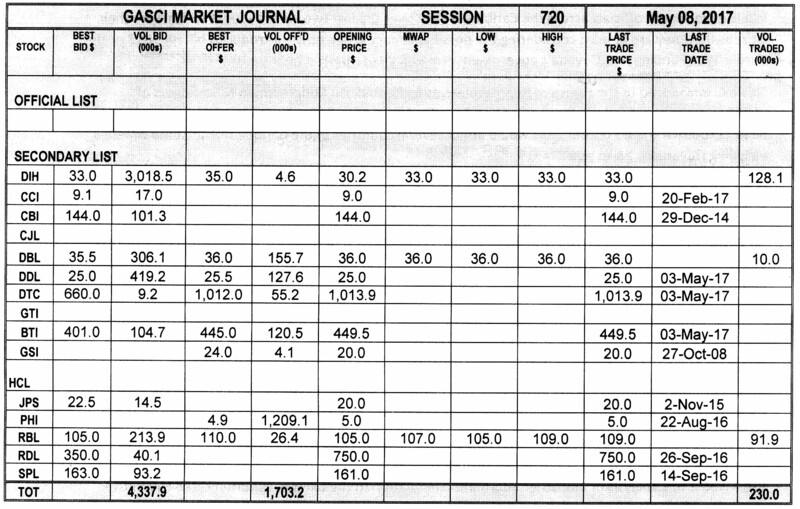 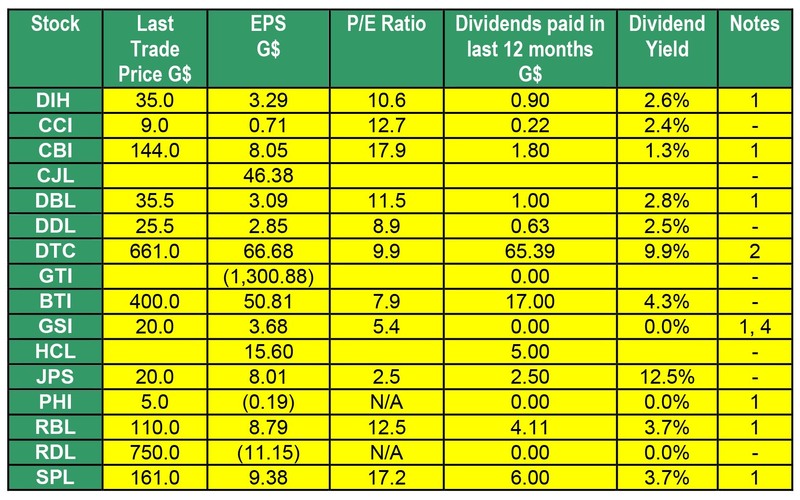 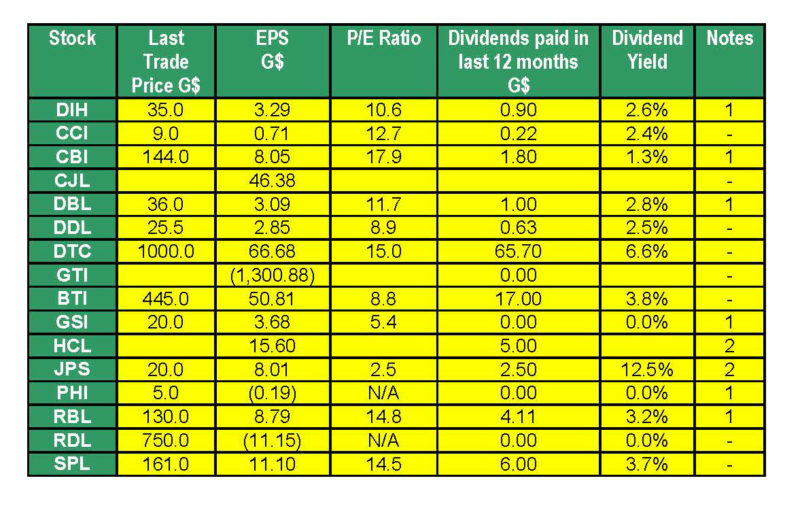 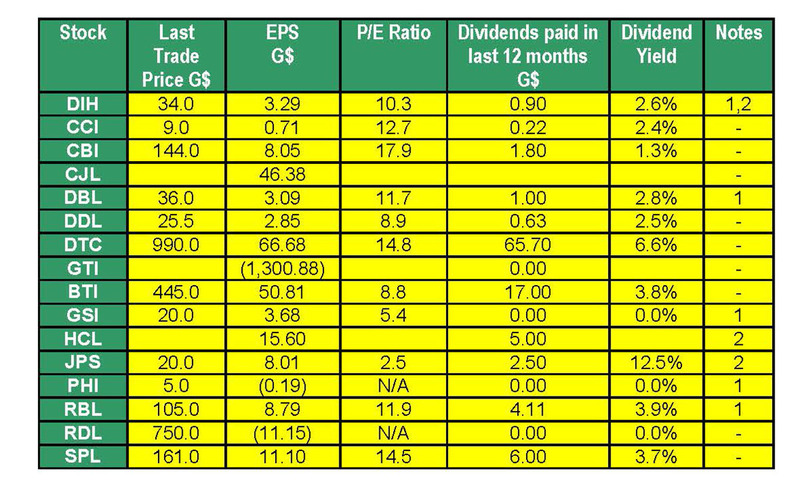 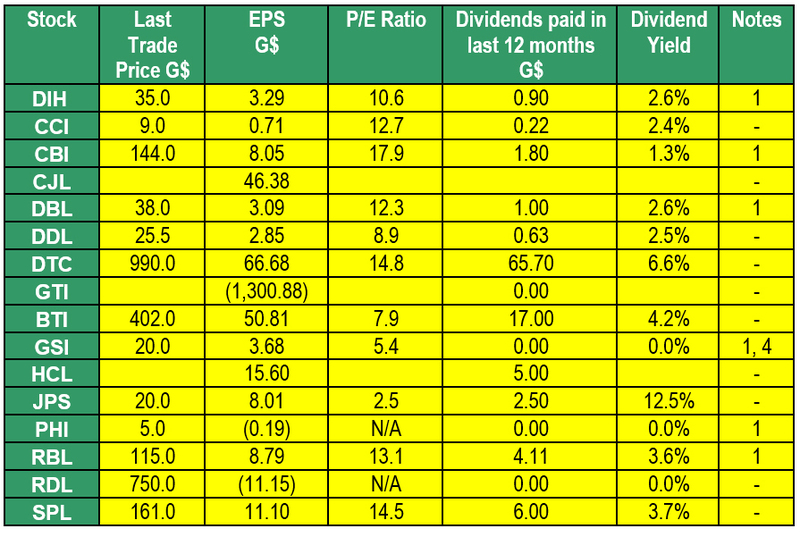 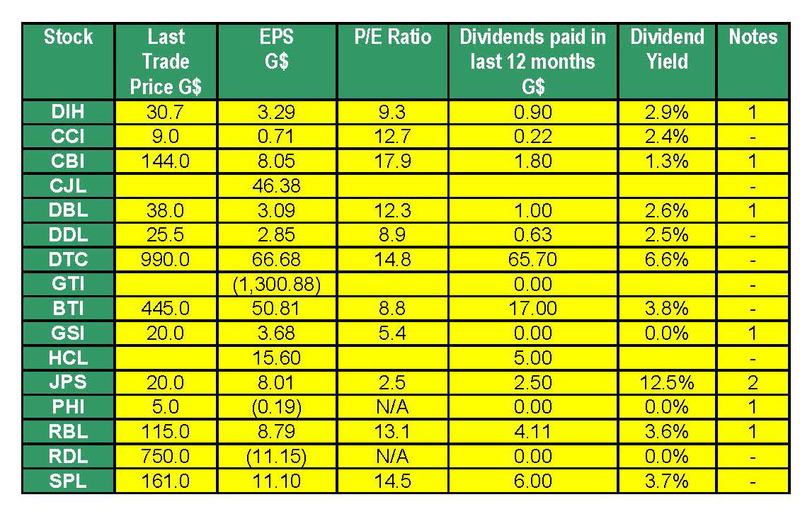 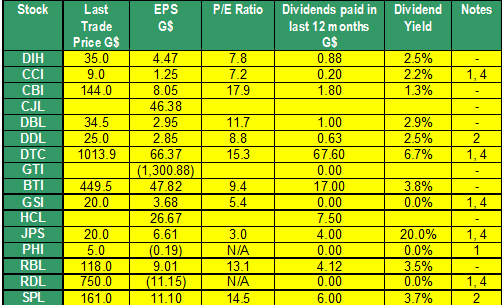 Stock market updates GASCI (www.gasci.com/telephone Nº 223-6175/6) reports that session 734’s trading results showed consideration of $29,059,205 from 243,721 shares traded in 19 transactions as compared to session 733’s trading results, which showed consideration of $26,275,472 from 655,734 shares traded in 10 transactions. 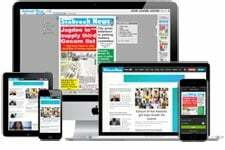 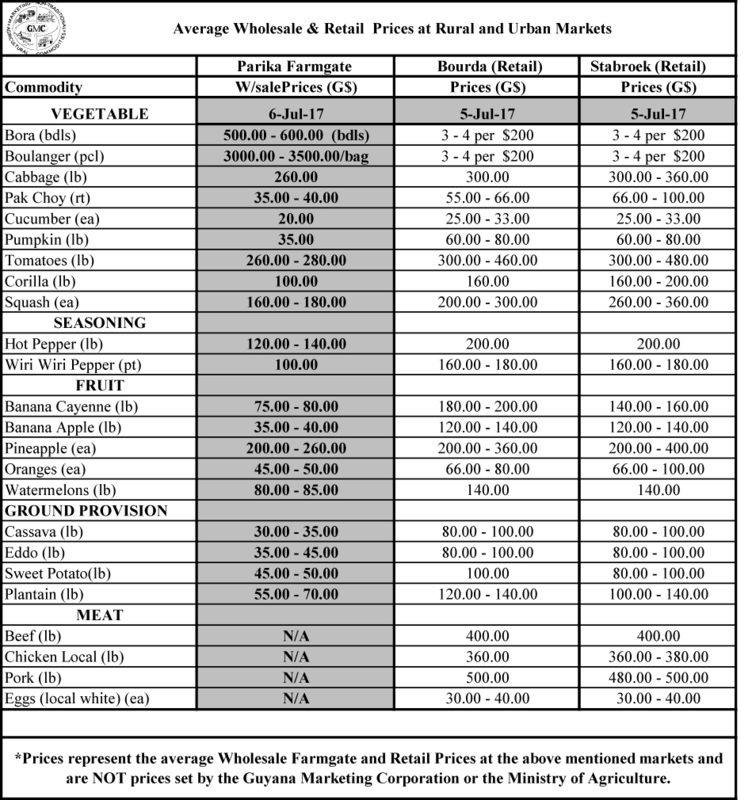 (Prepared by the Guyana Marketing Corporation and published by Stabroek Business as a public service)The New Guyana Marketing Corporation has agreed to provide us with the above information which we will publish on a weekly basis subject to receipt. 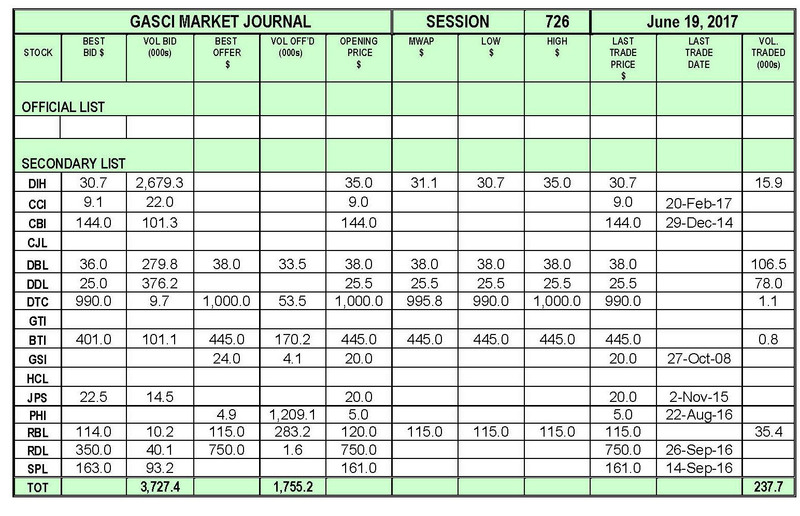 Stock market updates GASCI (www.gasci.com/telephone Nº 223-6175/6) reports that session 732’s trading results showed consideration of $3,804,547 from 78,412 shares traded in 13 transactions as compared to session 731’s trading results, which showed consideration of $19,105,931 from 454,010 shares traded in 19 transactions. 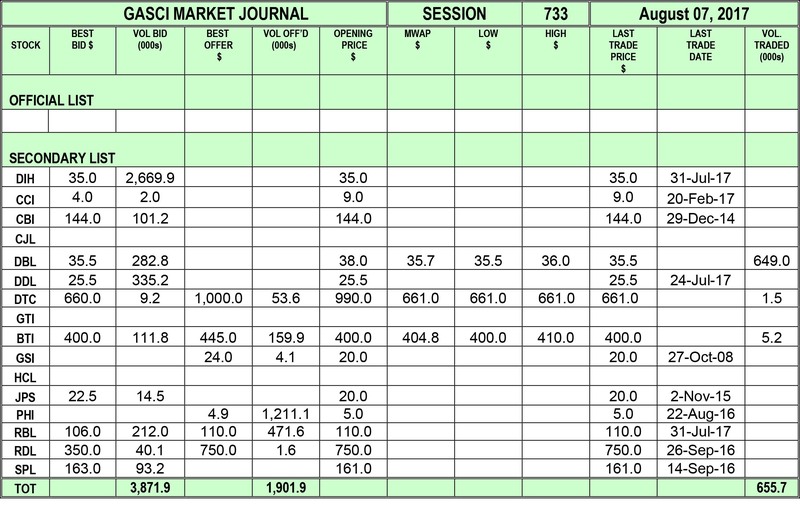 Stock Market Update GASCI (www.gasci.com/telephone Nº 223-6175/6) reports that session 730’s trading results showed consideration of $544,235 from 636 shares traded in 3 transactions as compared to session 729’s trading results, which showed consideration of $2,566,808 from 69,314 shares traded in 9 transactions. 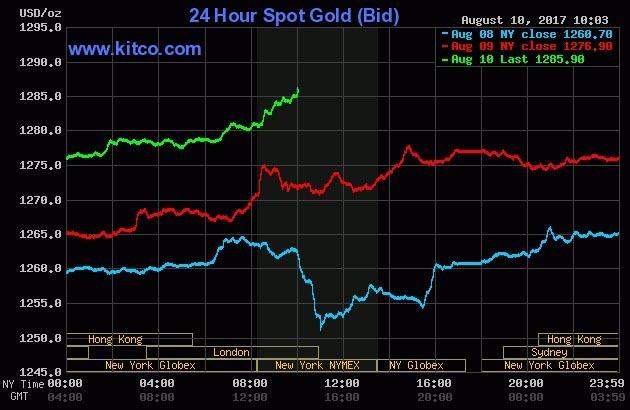 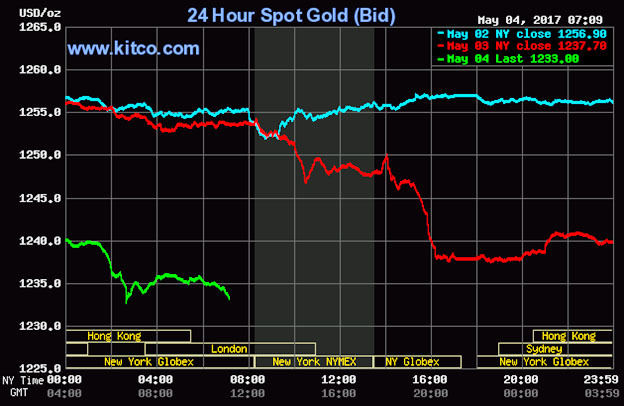 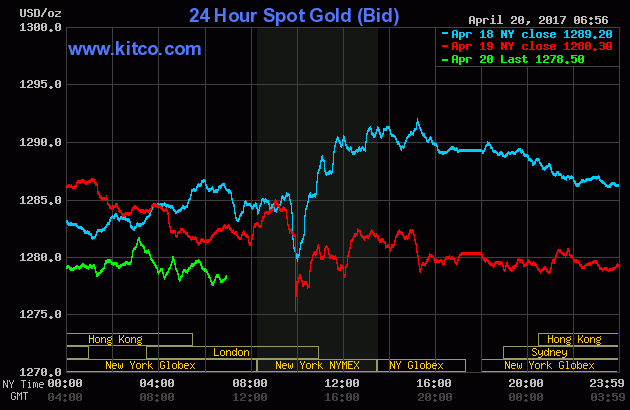 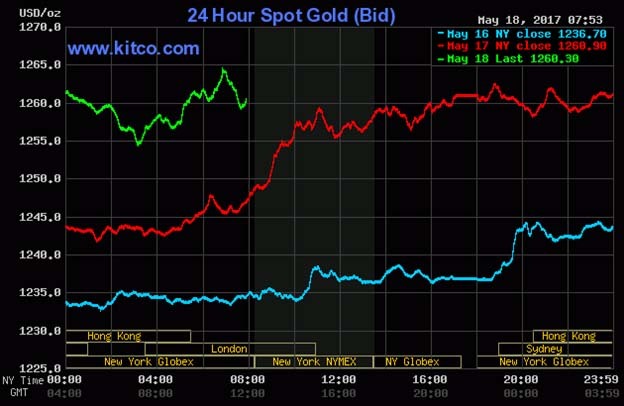 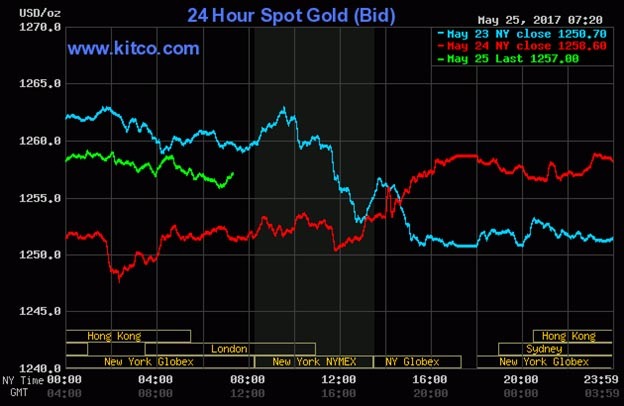 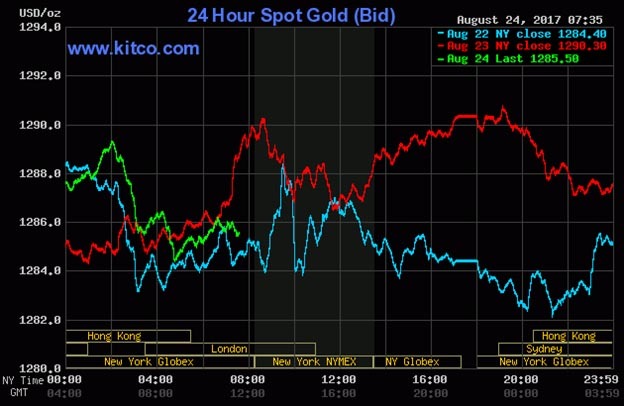 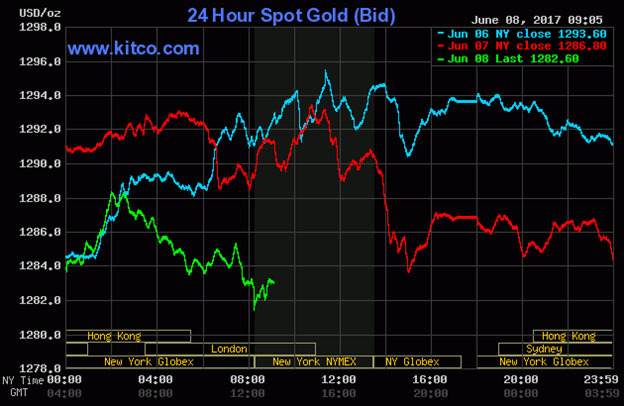 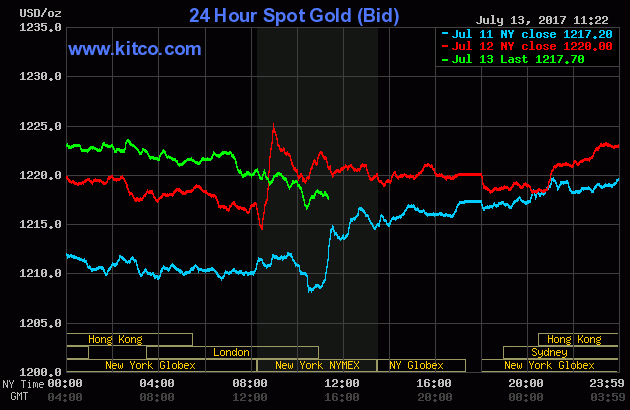 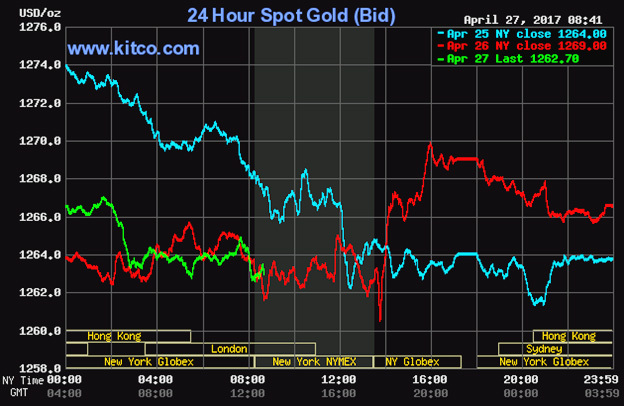 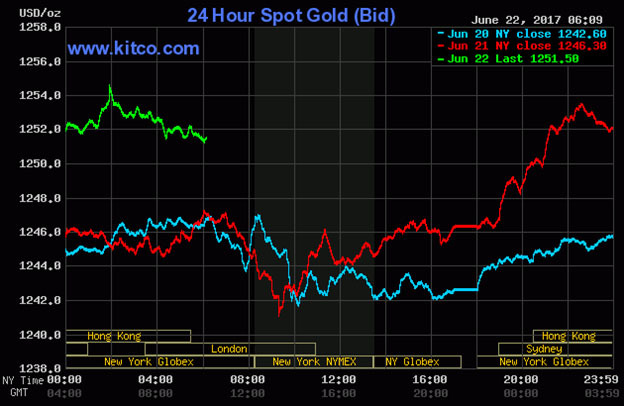 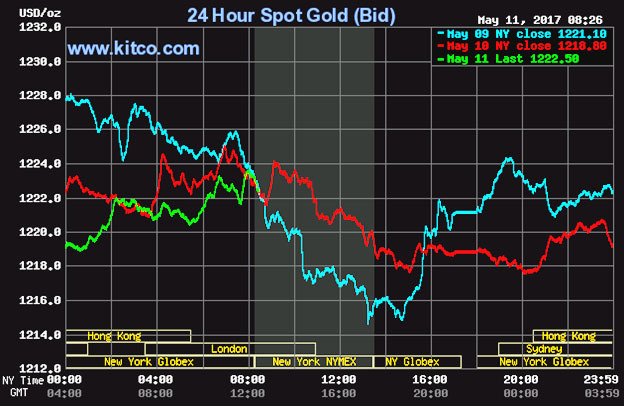 Kitco is a Canadian company that buys and sells precious metals such as gold, copper and silver. 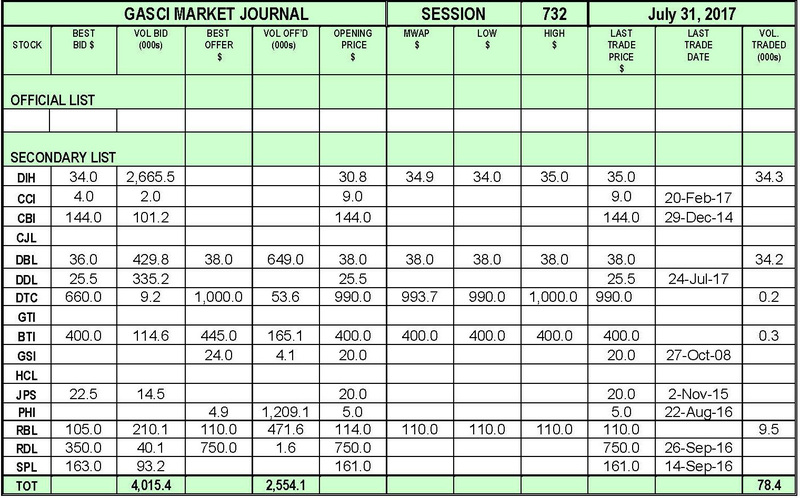 GASCI (www.gasci.com/telephone Nº 223-6175/6) reports that session 727’s trading results showed consideration of $33,023,693 from 316,416 shares traded in 11 transactions as compared to session 726’s trading results, which showed consideration of $12,094,842 from 237,694 shares traded in 22 transactions. 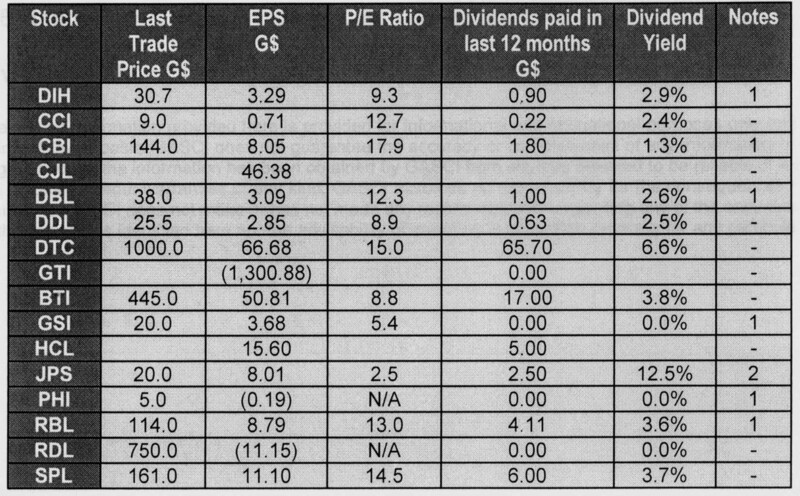 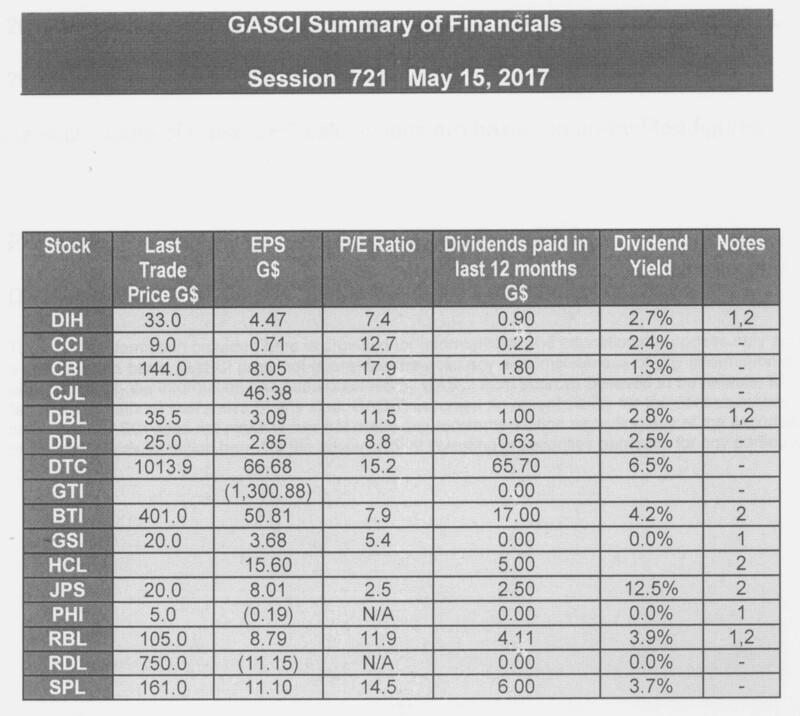 GASCI (www.gasci.com/telephone Nº 223-6175/6) reports that session 725’s trading results showed consideration of $2,132,670 from 16,726 shares traded in 11 transactions as compared to session 724’s trading results, which showed consideration of $655,570 from 1,553 shares traded in 7 transactions. 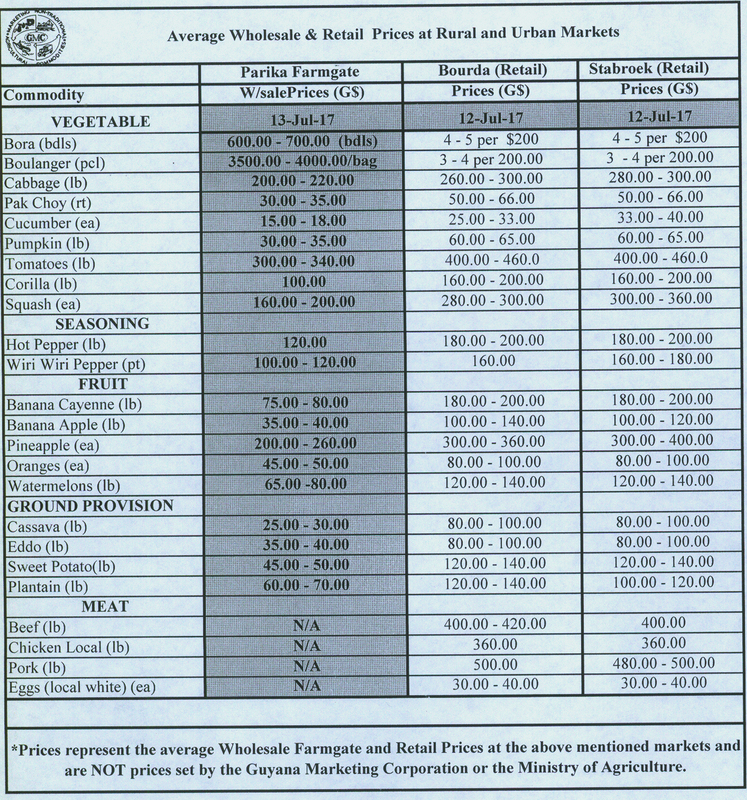 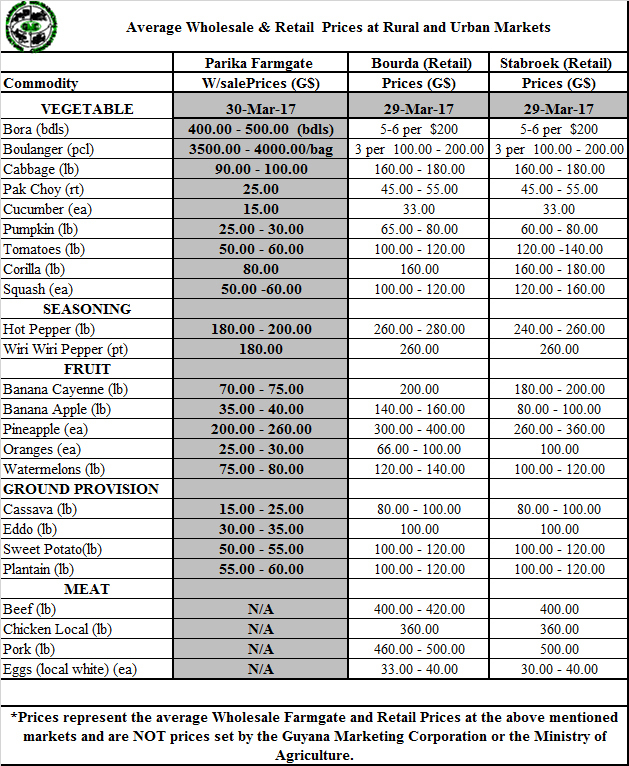 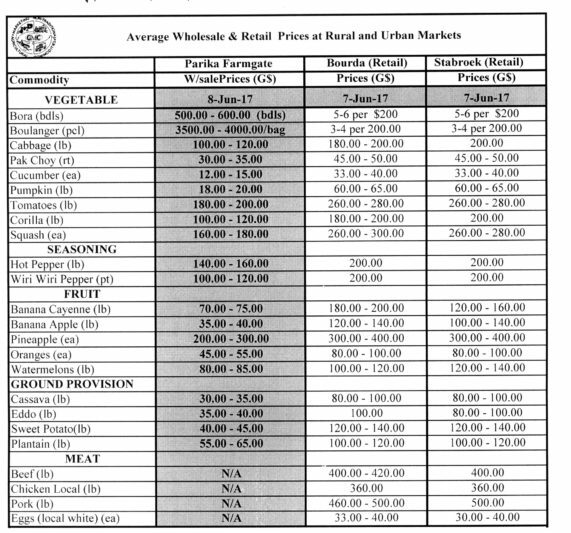 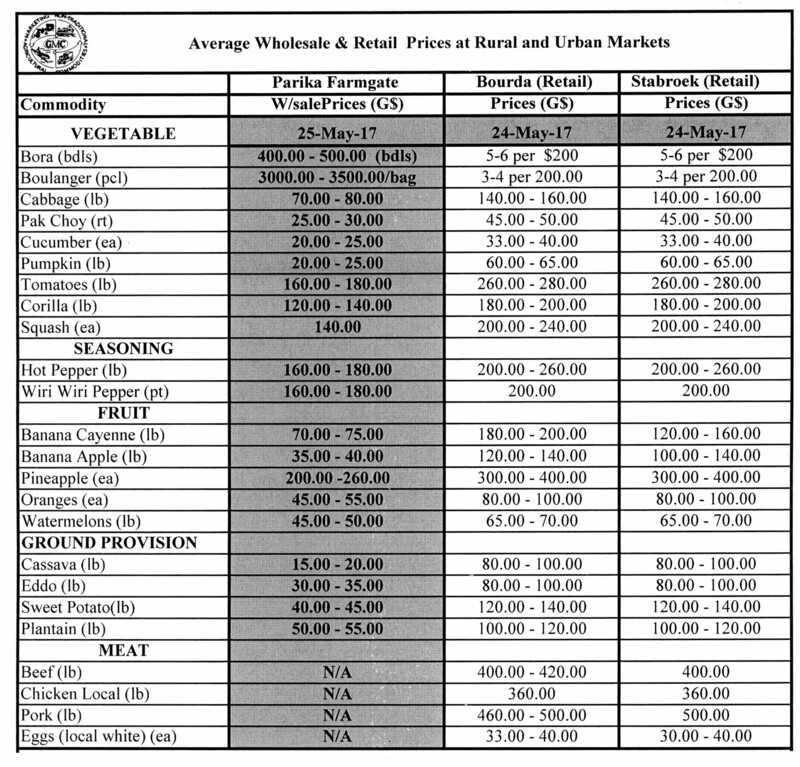 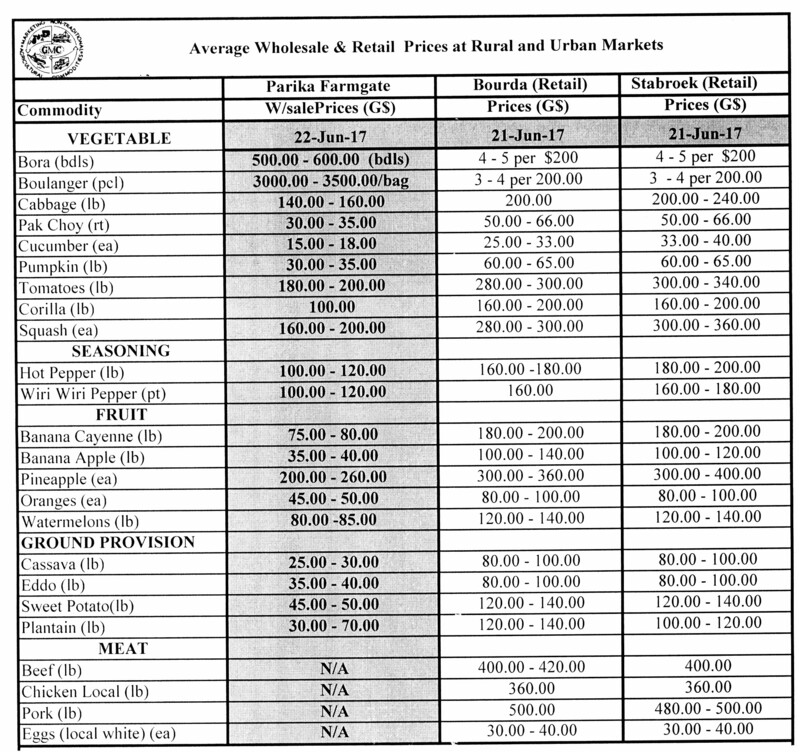 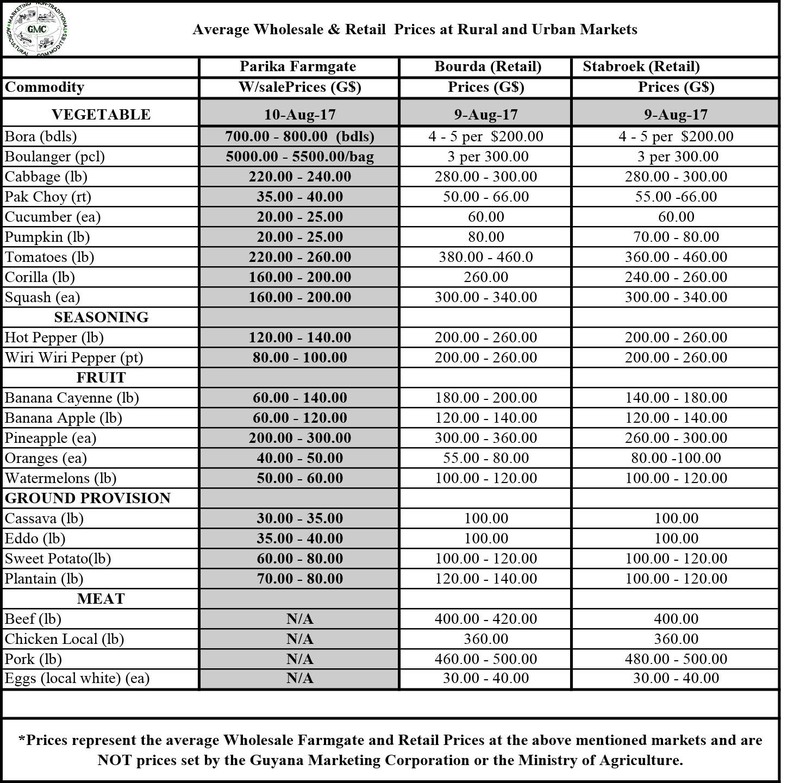 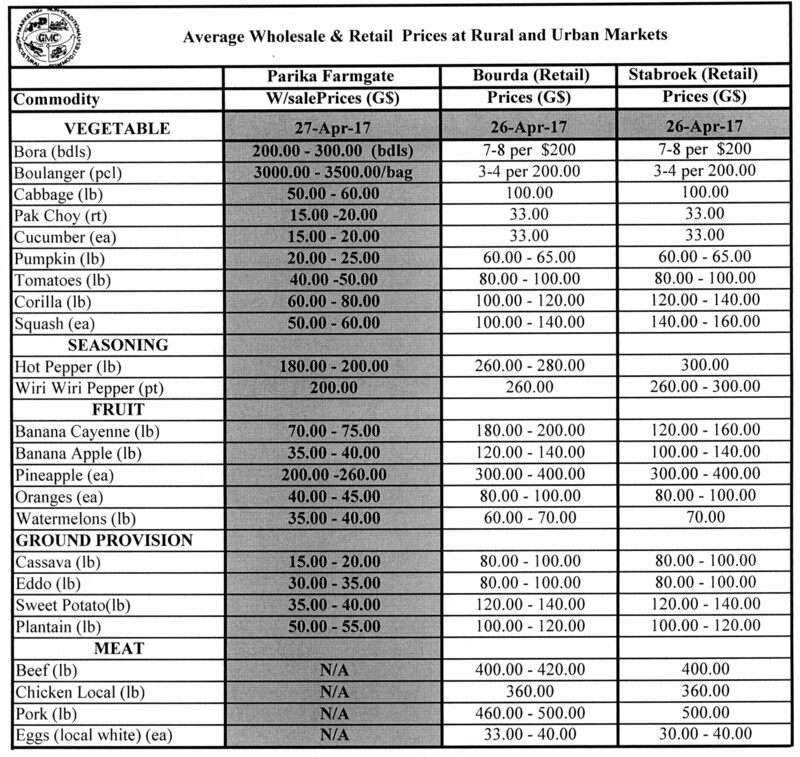 (Prepared by the Guyana Marketing Corporation and published by Stabroek Business as a public service)*Prices only represent the average Wholesale Farmgate and Retail Prices at the above mentioned markets and are NOT prices set by the Guyana Marketing Corporation or Ministry of Agriculture. 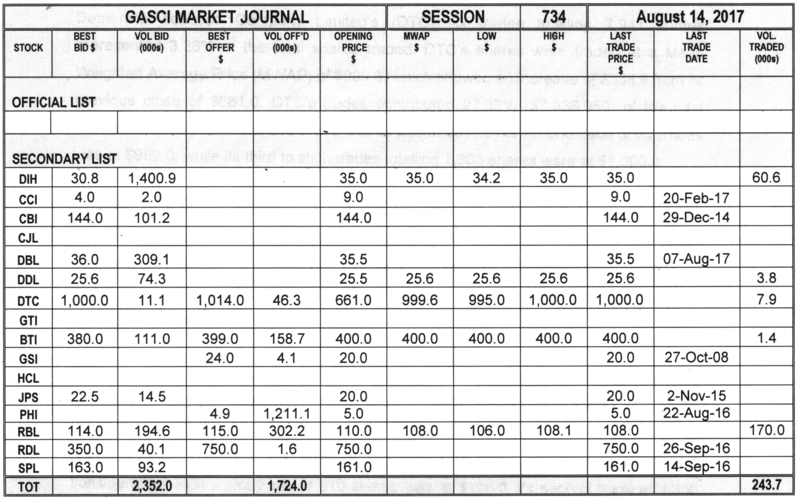 GASCI (www.gasci.com/telephone Nº 223-6175/6) reports that session 723’s trading results showed consideration of $47,404,323 from 518,235 shares traded in 16 transactions as compared to session 722’s trading results, which showed consideration of $11,389,841 from 215,659 shares traded in 18 transactions. 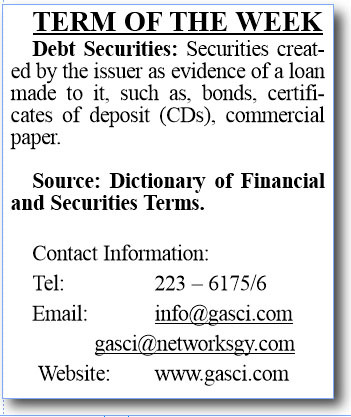 GASCI (www.gasci.com/telephone Nº 223-6175/6) reports that session 721’s trading results showed consideration of $8,876,776 from 247,472 shares traded in 13 transactions as compared to session 720’s trading results, which showed consideration of $14,425,378 from 230,078 shares traded in 4 transactions. 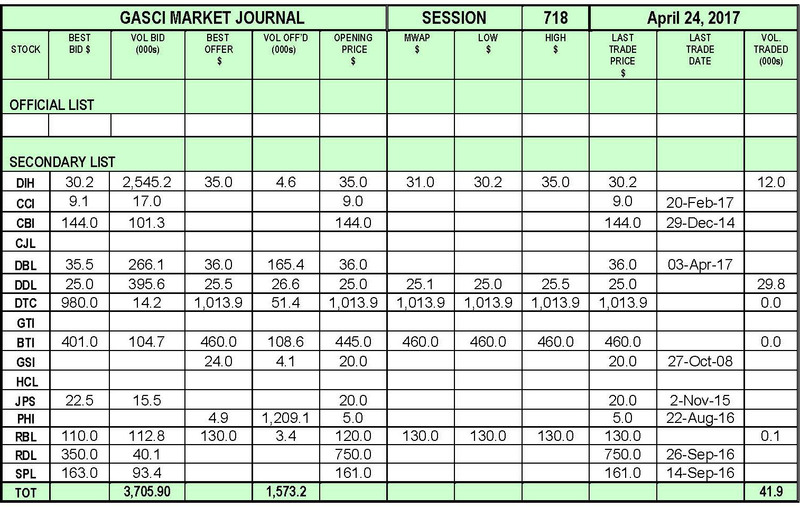 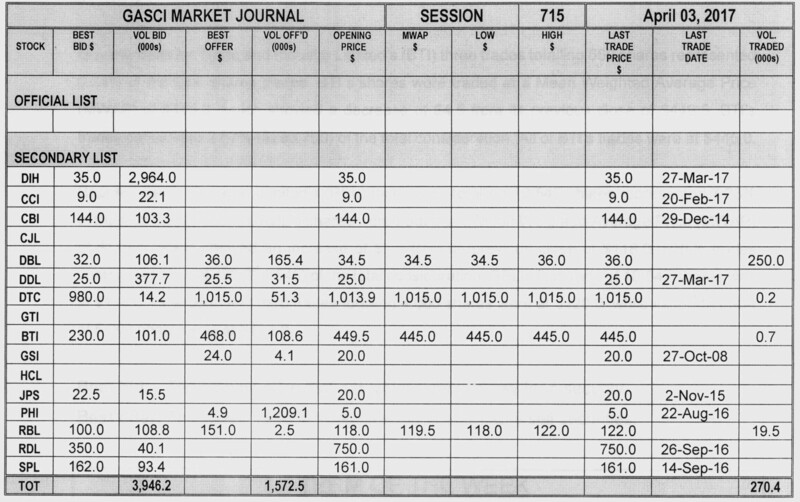 GASCI (www.gasci.com/telephone Nº 223-6175/6) reports that session 718’s trading results showed consideration of $1,138,521 from 41,869 shares traded in 11 transactions as compared to session 717’s trading results, which showed consideration of $6,614,635 from 234,441 shares traded in 13 transactions. 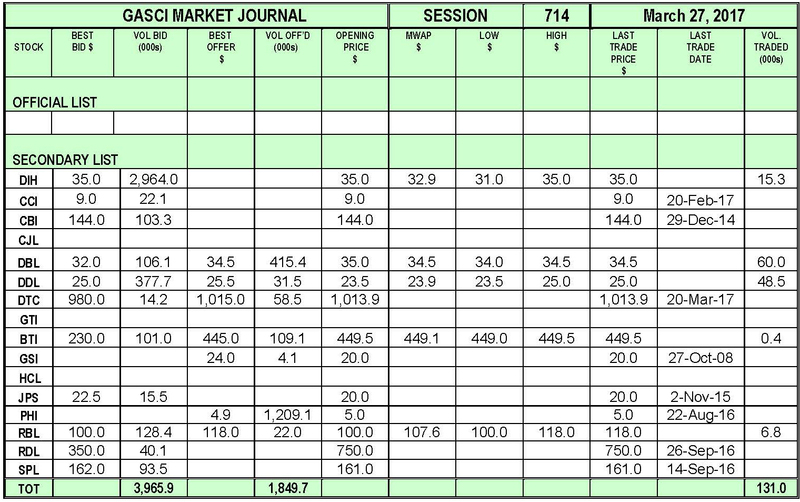 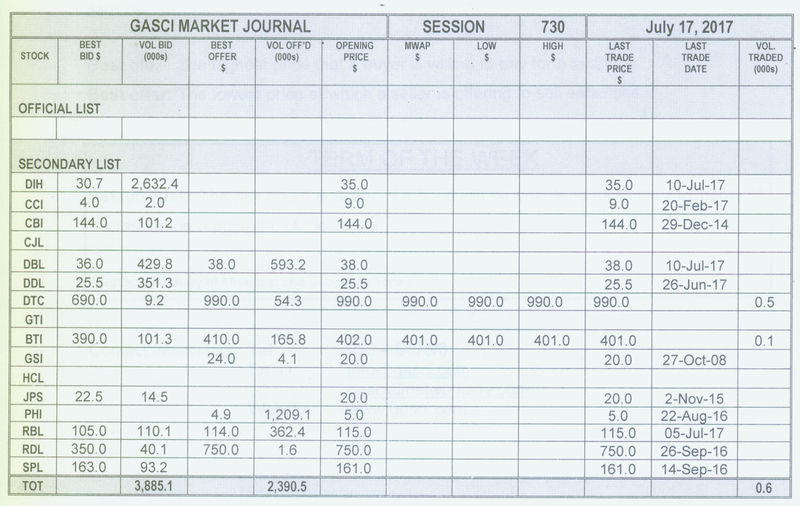 GASCI (www.gasci.com/telephone Nº 223-6175/6) reports that session 717’s trading results showed consideration of $6,614,635 from 234,441 shares traded in 13 transactions as compared to session 716’s trading results, which showed consideration of $8,840,485 from 179,273 shares traded in 10 transactions. 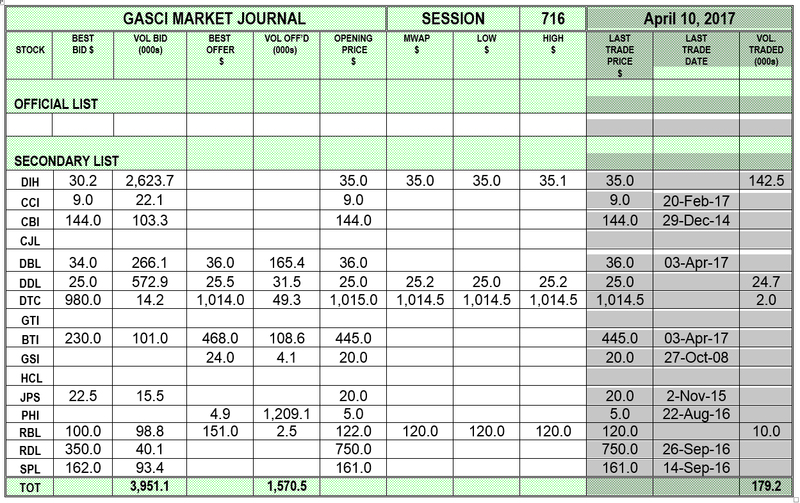 GASCI (www.gasci.com/telephone Nº 223-6175/6) reports that session 716’s trading results showed consideration of $8,840,485 from 179,273 shares traded in 10 transactions as compared to session 715’s trading results, which showed consideration of $11,416,955 from 270,360 shares traded in 12 transactions. 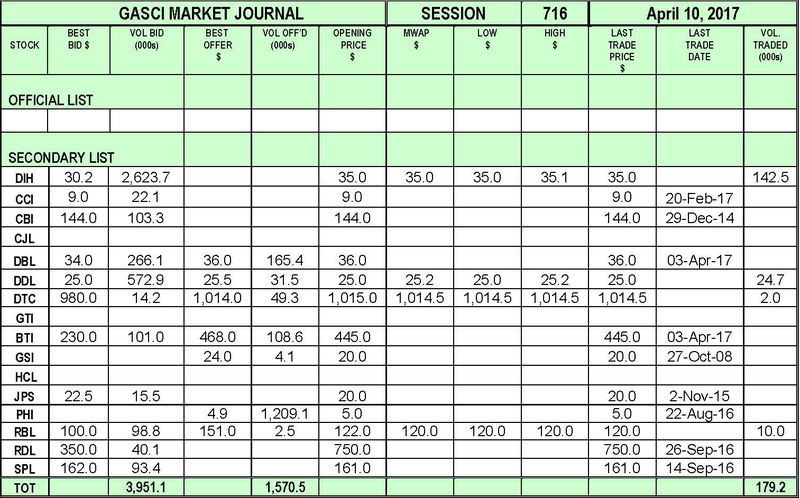 GASCI (www.gasci.com/telephone Nº 223-6175/6) reports that session 715’s trading results showed consideration of $11,416,955 from 270,360 shares traded in 12 transactions as compared to session 714’s trading results, which showed consideration of $4,641,577 from 130,951 shares traded in 15 transactions.